Ulcerative colitis (UC), like Crohn’s disease, is an inflammatory bowel disease (IBD), an autoimmune condition in which the immune system attacks the intestines. It is typically debilitating, chronic, and recurring; there is no cure. Sufferers are often put on prescription drugs, and some undergo surgery to have segments of their intestines removed. Traditional drugs come with side effects like nausea, vomiting, headaches, rash, fever, and inflammation of the liver, pancreas, and kidneys, as well as lowered immune function and fertility. Studies suggest that UC and other IBDs may start at a very early age. Babies fed formula rather than breast milk may have a higher risk of developing the disease. A diet high in animal protein seems to increase the risk as well, possibly due to blood components in meat, carcinogens created by cooking muscle, chemicals in processed meat, pro-inflammatory arachidonic acid and iron, harmful bacteria causing inflammation, or even the antibiotics in meat interfering with gut flora. An animal-based diet may trigger UC by causing enzymes in the intestines to produce a harmful gas called hydrogen sulfide, which can interfere with the body’s utilization of fiber and can damage DNA. Fiber is used by our good bacteria to product a beneficial compound called butyrate, which can reverse the adverse effect of sulfide. Fiber also helps maintain the intestinal barrier function and decrease inflammation in the colon. One study showed that women who consumed high amounts of fiber had a 40% reduced risk of IBD. The standard American diet may have five or six times more sulfur than a diet centered on unprocessed plant foods. Sufferers of UC in remission have a higher risk of relapse with consumption of meat and alcohol, both rich sources of sulfur. Sulfur-containing amino acids are also found in dairy, eggs, and even dried fruit. Choosing organic products helps eliminates the intake of sulfur. Cabbage family vegetables naturally have some sulfur compounds, but they are not associated with elevated UC risk. Processed foods contain ingredients that may facilitate the invasion of bacteria into the wall of the intestine, which can trigger an attack. These ingredients include polysorbate 80 (found commonly in ice cream, Crisco, Cool Whip, condiments, and cottage cheese); titanium dioxide (a whitening/brightening pigment); maltodextrin (found in Splenda, snack foods, salad dressings, and fiber supplements); and sucralose, which has been shown to increase IBD rates up to twelvefold. 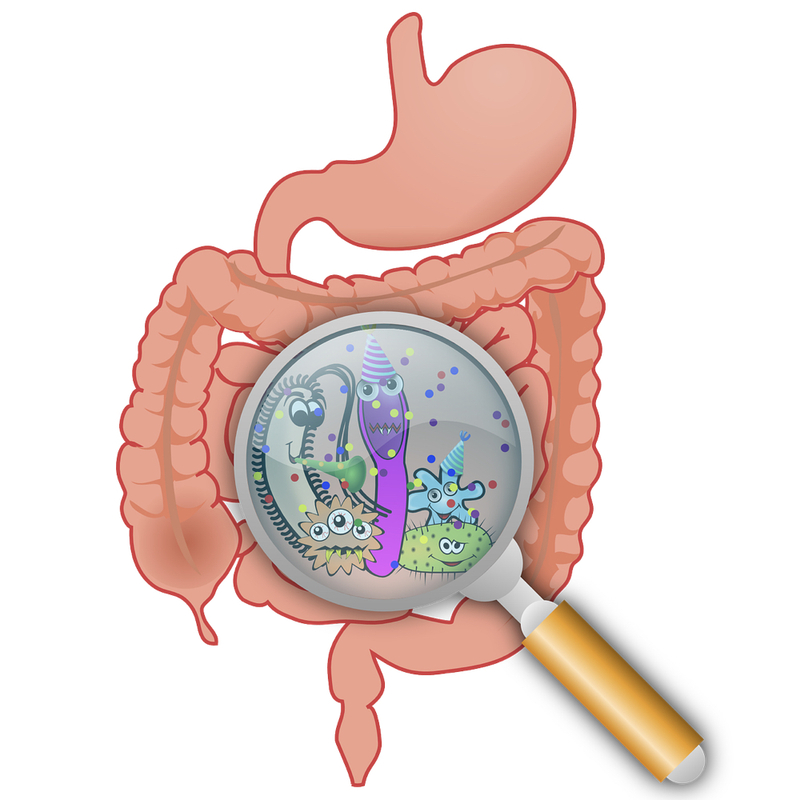 The good news is that after stopping consumption, the original balance of gut bacteria may be restored within weeks. Studies have shown that drinking wheatgrass juice or ingesting curcumin and oat bran appear effective and safe to decrease symptoms of disease activity and prevent relapse. Also, eliminating dairy may help roughly one in five sufferers. Cruciferous vegetables such as broccoli, cauliflower, and cabbage are essential for sustaining colon health. But the best therapy (and prevention) is a whole food plant-based diet. Is the exaggerated reaction of many Crohn’s disease patients to baker’s, brewer’s, and nutritional yeast just a consequence of their inflamed leaky gut, or might it be a contributing cause? Vitamin D supplements were put to the test for Crohn’s disease. A randomized, double-blind, placebo-controlled trial found wheatgrass juice to be safe and effective in the treatment of an inflammatory bowel disease. A double-blind, placebo-controlled trial found a dramatic effect of the anti-inflammatory spice pigment curcumin against inflammatory bowel disease. The toxic rotten egg gas hydrogen sulfide may explain why animal protein is associated with inflammatory bowel disease. Diets centered around whole plant foods may help prevent Crohn’s disease through the benefits of fiber on the maintenance of intestinal barrier function and the avoidance of certain processed food additives such as polysorbate 80. There is a receptor in our intestines activated by phytonutrients in cruciferous vegetables that boosts immune function (the aryl hydrocarbon [Ah] receptor).